The Kingdom of Saudi Arabia is reportedly selling off its assets in Canada and will stop buying Canadian wheat and barley, in the latest escalation in the sudden diplomatic dispute between the two countries. Saudi Arabia's main state wheat buying agency has told grains exporters it will no longer buy Canadian wheat and barley. "As of Tuesday, Aug. 7, 2018, Saudi Grains Organization (SAGO) can no longer accept milling wheat or feed barley cargoes of Canadian origin to be supplied," the notice to grain traders said. Canada sold 68,000 tonnes of wheat to Saudi Arabia last year, about the same as it did in 2016, Statistics Canada data shows. In 2017, Canada also sold 132,000 tonnes of barley to the country, two times as much as it did the previous year. In 2015, Saudia Arabia-based Saudi Agricultural and Livestock Investment Company was part of a consortium that bought a controlling interest in the Canadian Wheat Board for $250 million. The move to block Canadian grain is the kingdom's attempt to punish Canada economically after Global Affairs Canada publicly criticized the Kingdom for jailing dissidents, enraging the regime. 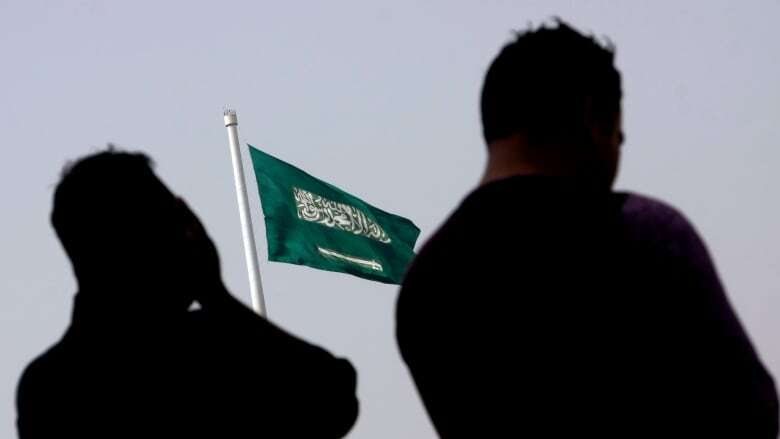 The national Saudi Arabian airline, Saudia, said this week that it would suspend all flights between the country and Canada, starting next week. The airline currently flies two routes to Canada, one to Riyadh and one to Jeddah. But the Saudis don't have a lot of economic weapons at their disposal. The Financial Times reported Wednesday that the regime has ordered its central bank and massive sovereign wealth fund to sell off any Canadian assets, which the newspaper estimated to be a "fairly small" fraction of its total $100 billion in foreign holdings. The Canadian dollar plunged on the report, before traders realized the limited scope of the moves. The FT report comes a day after the Toronto Stock Exchange faced mysterious selling pressure on Tuesday after an unknown international dealer was said to be aggressively selling Canadian assets. "From about 10:30 this morning a big sell program came in internationally at one of the dealers," said Dominique Barker, portfolio manager, CIBC Asset Management. "We don't know which one, but the market has sold off, and the Canadian dollar also sold off from about that time. So that's impacting the Canadian market versus the rest of the world," Barker said. Statistics Canada data shows that Canada imported just over $2 billion from Saudi Arabia so far in 2018. In return, Canada exported just shy of $1.4 billion to Saudi Arabia since January. The Persian Gulf country is, however, a major supplier of oil to Canada, with about 15 per cent of Canada's oil imports coming from Saudi Arabia last year. That's about 100,000 barrels per day, and most of it is bound for Eastern Canada.